September is fast approaching (yikes, does anyone know where August went!?) but the season here in Glacier National Park is by no means over. We hear it all the time here at the lodge: “I’d love to visit in the fall, but everything’s closed!” Well, that’s just plainly not true! This common misconception takes many forms, whether it’s that the park is closed in the winter (Nope, open year round!) or that winter is boring (the opposite is the case). We’re here to debunk the rumors: fall in Glacier Country may just be the best time to visit. Visitors can often enjoy warm, summery weather, but lodging prices drop right along with the crowds. Sure, you may encounter the unexpected (many businesses close their doors for the season “weather dependent,” since late-September snowfalls aren’t unheard of!) but that’s part of the adventure. And don’t worry, in case of unexpected flurries, we have snowshoes to rent! But more likely than not, you’ll be able to squeeze in a last taste of summer long before snow flies, with the extensive activities around staying open later and later each year. Check out how long dog days last in the list below, and see how far you can stretch summer fun this September. Red bus tours: Tours on these iconic historic buses run as late as October 16 on the west side of Glacier National Park! Historic Boat Tours: Through September 25, get out on the water and learn a bit about the history of the park with the opportunity to see the majesty the way the first visitors did on one of the historic boats on Lake McDonald. Going-to-the-Sun Road: This main road through the park stays open all the way across until snow starts or the middle of October, whichever comes first! Even after it shuts the gates to vehicle traffic, visitors can head up all the way to Lake McDonald Lodge on the west side, or St. Mary Campground on the east, leaving plenty of fall hiking opportunities open. Rafting and scenic floats: Until mid-September, enjoy a whale of a time out on the river with Wild River adventures, which you can book directly through our website. Boat and board rentals from Glacier Outfitters continue until September 9 (also available to book on our website)! 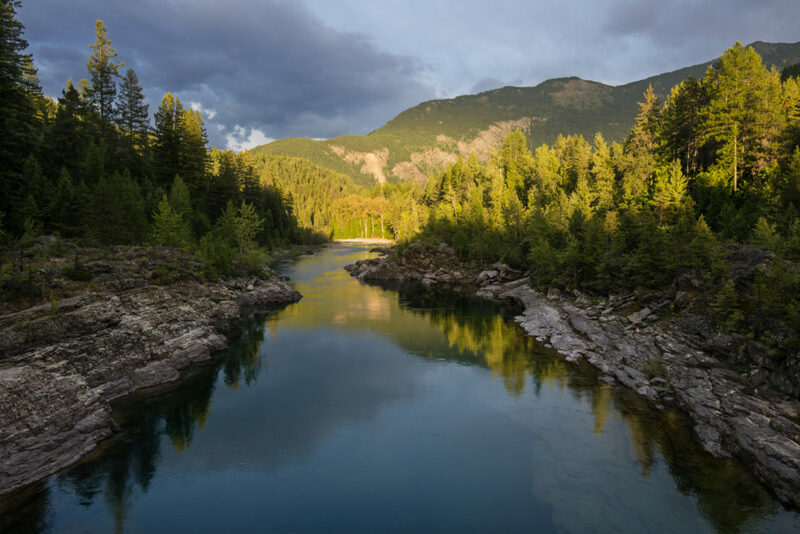 Whitefish Mountain Resort: summer activities like the zipline, walk in the treetops, and scenic lift and gondola rides are still available in September on Friday, Saturday, and Sunday through the 25th. Glacier Zip Lines: Ramp up the adrenaline right down the road from the lodge at least through the end of September and into October, with the end of season weather dependent. Glacier Highline: Through October 20, explore the ropes course just five minutes down the street from us in Coram, fun times for the whole family. Amazing Fun Center: It’s amazing and it’s fun! This mecca of maze and games stays open the first three weekends in September (weather dependent). Open year round. Because this is Montana, and we need our local brews! Check out local offerings from Coram to Columbia Falls and Bigfork, with tasty food to boot. You’ll find Montana gourmet open year round as close as our own backyard, with options in nearby Columbia Falls, Kalispell, and Whitefish as well. And of course Oso’s Smokin’ BBQ, our onsite Mexican and barbecue joint, that stays open nightly through September for dinner, with tasty cocktails from our saloon. 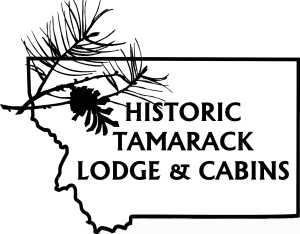 As one of the few lodging options open year round in Glacier Country, at the Historic Tamarack Lodge we offer a prime spot just 8 miles from the park to enjoy the best of the region in all four seasons. Not to mention, with shoulder season rate deals, it’s always a good time to book a little fall romp. Click here to check availability and pricing. 5 things we bet you’ve never done in Glacier National Park The best cabins to rent for fall!